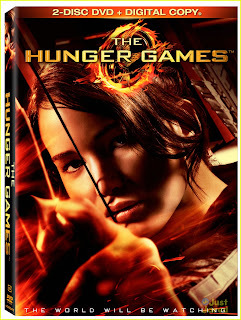 The Hunger Games DVD release USA! It's what we've all been waiting for... the Hunger Games DVD is finally out today, in the USA! It's been about 6 months give or take since The Hunger Games exploded on our cinema screens and fans have been waiting to finally get the DVD. UK fans will have to wait a little longer, till September 3rd to get it. In Australia the DVD came out yesterday! As well as the movie (PG-13, 2 hrs., 22 mins), you get over 3 hours of bonus content! Have you guys already got it?